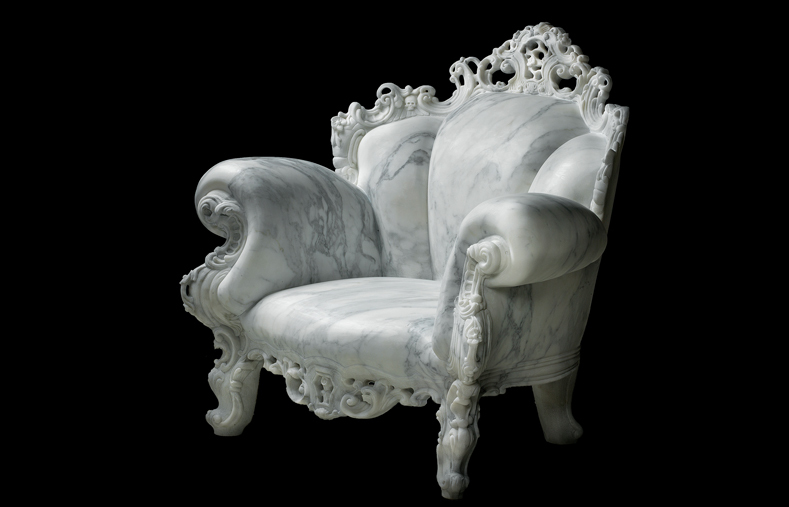 Alessandro Mendini recreated his iconic Proust chair in marble for an exhibition of products shown by Italian company Robot City at Ventura Lambrate in Milan. 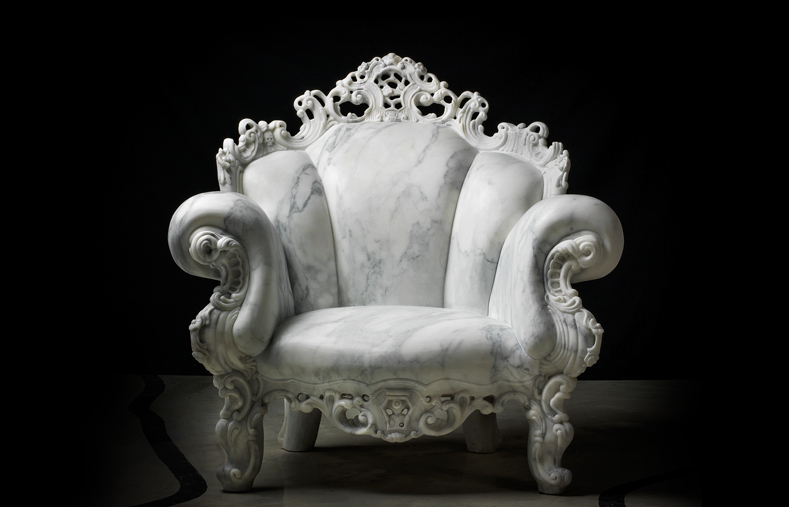 Made for the Italian marble company’s Solid Spaces show, the new iteration of the Proust chair is an attempt to create an object with a “hyper-realist” appearance by using marble to create an “almost surreal” effect, said Robot City. 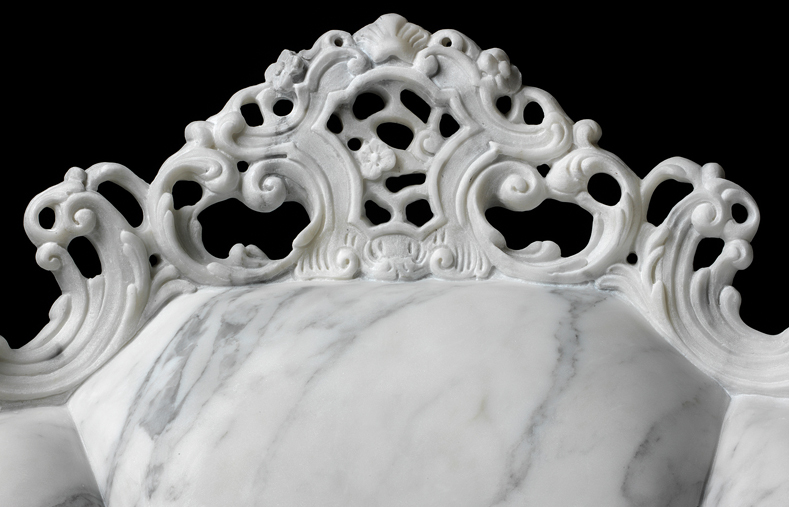 Originally created in 1978, the Poltrona di Proust chair became Mendini’s best-known work. It was the first in a series known as Redesigns, which brought together his academic theories on the importance of historical context for design and the significance of surface appearances in a fast-moving world. 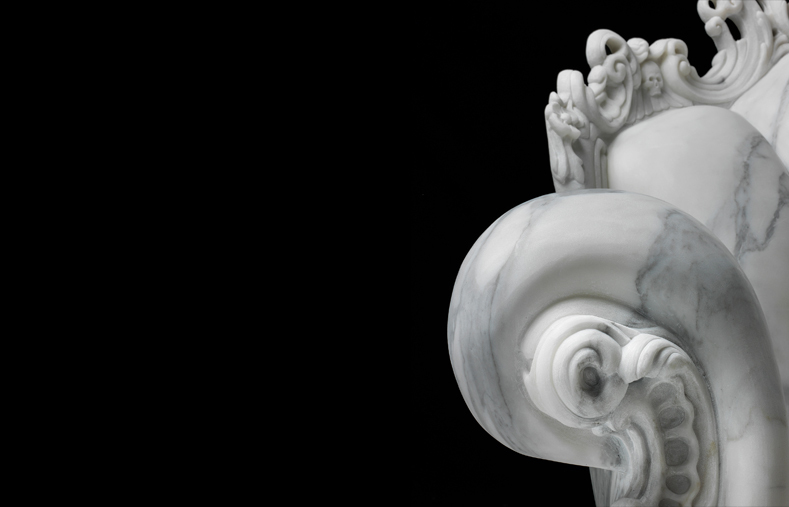 This marble version is one of four creations by different designers produced from a single 38.7-tonne block of white marble, excavated from a quarry owned by Robot City leader Gualtiero Vanelli. The designs “give unexpected twists to the interchange between form, function, visual appearance, ergonomics, tradition and innovation”, said Robot City in a statement.